Learning that you have serious illness or injury that prevents you from working can be overwhelming. In addition to the physical pain, not being able to provide for your family can leave you feeling powerless, depressed, and confused. Social Security Disability Insurance (SSDI) is a federal disability insurance program designed to provide income to individuals who are suffering from a disabling medical and/or mental condition that prevents them from working and financially supporting their families for at least one year. SSDI is funded by payroll taxes and does not depend on the recipient’s income level. It is based solely on work history and the degree of disability. Benefit amounts are based on work history and earnings. An eligible applicant would be someone who prior to developing their disability had worked long enough on a job that is covered by social security, had Social Security taxes removed from your paycheck during your career, and has a medical and/or mental disability that prevents them from working for at least one year. Supplemental Security Income (SSI) is monetary assistance for United States citizens with limited income and resources who are disabled, blind, or age 65 or older. Blind or disabled children may also get SSI. SSI benefits are not based on your prior work or a family member’s prior work. SSI provides cash benefits to supplement the cost of food, clothing, and shelter. SSI is funded by general tax revenues, not Social Security taxes. 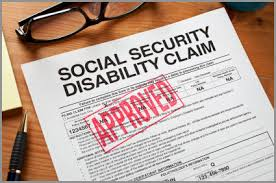 Therefore, individuals may still qualify for SSI benefits if they lack the work history required for SSDI. Applying for SSDI/SSI benefits is complicated, stressful, and often overwhelming. In fact, the majority of SSDI/SSI applicants are initially denied benefits. This leads many qualified applicants who are actually eligible for benefits to believe that they are ineligible and they abandon their claim. Applicants who are represented by an attorney are more likely to be successful with their first application for benefits. But even if you have already been denied, a large percentage of disability claims are approved on appeal and having an experienced and aggressive SSDI/SSI attorney who is familiar with the application and appeals process can strengthen your claim. If you or a loved one have been denied for SSDI/SSI benefits, don’t be discouraged by that denial letter. I GOT YOU! We can help you successfully navigate the appeals process and strengthen your chances for approval. SSDI/SSI lawyers get paid ONLY if you win, and their pay, which comes out of your back pay award from the Social Security Administration, is limited to 25% of your back pay or $6,000, whichever is less. You’re actually at an unfair disadvantage if you apply for benefits or appeal a denial of benefits without a lawyer’s help, because you probably won’t know all of the intricate rules that the Social Security Administration uses to deny claims or the complex strategies experienced SSDI/SSI lawyers use to successfully get benefits for their clients. So don’t delay getting the SSDI/SSI benefits that you and your family both need and deserve. Call US NOW for help filing your initial claim or appealing a denied claim. We provide a free case evaluation that can be conducted either over the phone or in person. And … remember when you work with us, there are never any up-front costs … & … If you don’t get paid, we don’t get paid.